Kershaw Scallion Assisted Opening Pocket Knife Camo | BUDK.com - Knives & Swords At The Lowest Prices! 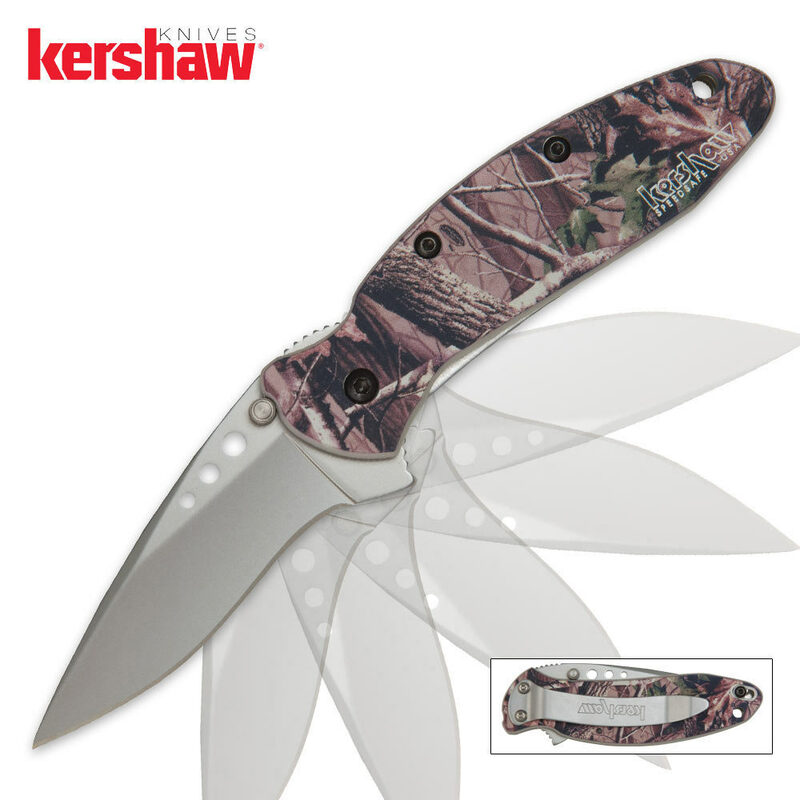 The Kershaw Scallion Camo pocket knife features a 2 1/4" blade made of 420 stainless steel. The anodized 6061-T6 aluminum handle has a Mossy Oak Breakout Camo pattern, liner lock, blade safety and lanyard hole, in addition to Kershaw's SpeedSafe assisted opening technology.